I'm a self-proclaimed purist when it comes to mac & cheese. I've always scoffed a little bit at variations that included tomatoes, peas, ham, and the latest trend, butternut squash. Just give me that traditional, cheesy noodle dish on a plate and I'm satisfied. But when Johnsonville Sausage asked me to create a Mardi Gras inspired dish using their Split Rope Sausages...I decided to toss my rules out the window. I've never been to New Orleans - bucket list - but from what I've observed, Mardi Gras is a bigger than life celebration. The music, parades, costumes, parties and food all contribute to a spectacular holiday celebration. Of course, I'm inclined to be more interested in the food than anything else. What I love about Cajun & Creole dishes is how flavorful and full of tradition they tend to be. 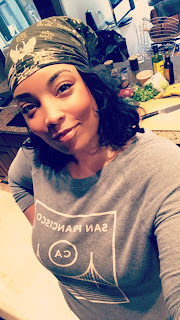 I would love to host a Fat Tuesday themed dinner party some day with classics such as jambalaya, gumbo, bbq shrimp, shrimp and grits, dirty rice, king cakes...and well, you get the point. The food. I love it all. As a young adult, Emeril Lagasse was one of the first chefs I became enamored with on television. I love how he takes Creole flavors and techniques and applies them to other American classic dishes. So when it came to getting creative for a Mardi Gras recipe, I chose mac & cheese as my canvas and Johnsonville's Andouille Sausage as my star ingredient. I happen to have been a fan of their product long before doing this post. Because their Split Rope Sausages are mildly seasoned and fully cooked, they are perfect for quick weekday dinners for kids. My son loves the Smoked Sausage variety, and we've also tried the Polish Kielbasa. They're made with premium cuts of pork and no fillers, which is important to me in choosing ingredients. And as far as convenience goes - Johnsonville Sausage is easy to find in your neighborhood grocery stores. The packages come with two individually sealed sausages, always awesome when you don't need to cook as much. 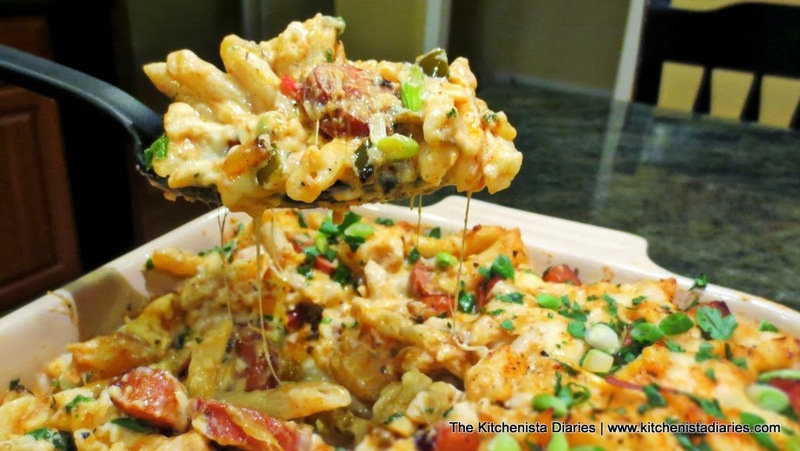 When I thought of doing a Mardi Gras' inspired Mac & Cheese, I wanted to create a dish packed with the traditional flavors of Louisiana cooking. Andouille sausage always pairs well with shrimp, so adding a little seafood was a no-brainer. Combined with my Cajun spice blend, hot peppers, the "holy trinity" of onions, peppers, and celery, and smoked Gouda cheese, I knew I was onto something tasty! If you've read my previous post for my Classic Creamy Baked Mac & Cheese recipe, you'll remember I really focused on the basics and brushed up on my techniques. Because of that, it was pretty simple to build upon my recipe and kick it up a notch, or two...or three. This Mac & Cheese isn't humble. It is decadent, bold, and can certainly stand on its own as a main dish. Shouldn't that be the way for such a festive occasion? Mardi Gras only comes around once a year...which in my book means go big, or go home! *If you are substituting another Cajun spice blend, you'll need 2 to 3 tbsp. Most store bought seasoning blends contain salt, so you may not need to add the additional Kosher salt used in my recipe. Before you begin, preheat your oven to 350°F and butter a large casserole dish. Much of the process for this recipe is similar to that for my Creamy Baked Mac & Cheese, so if you're looking for the detailed "how's and why's" of mac & cheese, make sure you check that out first! Because of the added steps in preparing the sausage and shrimp mix, I tweaked my technique a little bit to cut back on dishes and multi-tasking! For starters, I cooked my pasta ahead of time and used the same pot later on to make the cheese sauce. Season your pasta water generously with kosher salt (a couple tablespoons will do it - the water should taste like the sea) and add a couple bay leaves. I prefer fresh leaves these days, but if you're using dried bay leaves just make sure they're not super old. Bring the water to a boil. Cook pasta a couple minutes shy of al dente, per box directions, in this case I boiled mine for 6 minutes. The pasta will continue to cook in the oven so you want it a little underdone here. I used Mezze Penne, but elbows or Cavatappi noodles would also work well. I thought the penne noodles were a nice size to compliment the pieces of sausage and shrimp we'll be adding later. Plus all that creamy cheese sauce gets trapped inside the tubes as it bakes! After your pasta cooks, drain and rinse, then set aside. While my water boiled and pasta cooked, I prepped the other ingredients. Because I didn't need the shells, I bought my shrimp shelled and deviened to cut back on prep work. For mac & cheese, buy whole blocks of cheese and shred them yourself! This eliminates the anti-caking agents which can affect the consistency of your sauce. Also, I recently read that sharp white cheddar is less likely to curdle than the orange variety, so I gave that a try this time. Smoked Gouda is a favorite of mine and really pairs well with the spicy Cajun seasonings. Muenster has awesome melting qualities, so that rounded out my choice of three cheeses. In my last recipe, I simmered whole milk on the stovetop with an onion and bay leaf. Because I was able to incorporate those flavors in other ways this time, I saved myself a pot and gently warmed the milk in a microwaveable dish. It's one of the rare times I use a microwave around here! By the way, if you have kids, it's always great to get them involved in helping out with prep work. Dicing onions and peppers has been an easy way to get Jaden comfortable with his knife skills over the years! Season your shrimp with a couple teaspoons of the Cajun spice blend and a small pinch of salt. I used large shrimp and halved them - if you use smaller shrimp you may not want to chop them at all. Because they're complimentary to the Andouille sausage, I found that 1/2 pound was plenty. In your skillet, melt 2 tbsp butter over medium high heat and add the onions, bell peppers and celery. Cook a few minutes until softened; season with a pinch of salt. Add the sliced Andouille Sausage to your skillet and continue cooking until sausage is warmed through. As sausage and vegetables start to brown, season with several teaspoons of the Cajun spice blend and toss to incorporate. Finally, add the chopped hot peppers and shrimp. Cook just until the shrimp begins to turn opaque; it will continue to cook with the mac & cheese. Remove from heat and set aside. Wipe out your pasta pot and return to stovetop over medium heat. Melt 6 tablespoons of butter. And quickly begin to whisk the butter and flour together to create a roux. If you're familiar with Cajun and Creole cooking, you're probably no stranger to using a roux as a thickening base, but you're probably more accustomed to a darker roux like that made for gumbo, which takes quite a bit of time and whisking over the stove! The darker your roux gets, the flavor imparted into your dish will become nuttier and toastier. For the creamy white Béchamel that serves as the base to mac & cheese sauce, we'll only need to make what is known as a blonde roux, and is light golden brown in color. It's heated through just enough to cook out the raw flour taste. When the roux is golden and bubbly, pour in a cup or so of the steamed milk while continuing to whisk. Whisk vigorously to incorporate the milk into the roux, creating what will look like a thick paste at first. Adding a cup or so of milk at a time helps to prevent lumps in the sauce. Continue whisking and adding milk until it's all incorporated into a thin white sauce. Allow the sauce to simmer for a few minutes to thicken. If you have any trouble removing lumps, an immersion blender is a great tool that can quickly smooth it all out! Season the white sauce with a tablespoon of Cajun spice blend, a teaspoon of salt, the freshly grated nutmeg, and good splash of Worcestershire sauce. Whisk to incorporate and simmer for a minute or so. Taste and adjust seasonings as desired, being careful not to add too much salt as the cheese, sausage and shrimp blend will also be added to the dish later. When the sauce has thickened, it will easily coat the back of a wooden spoon. Promptly remove the pot from heat. This helps to prevent your sauce from overheating, which can cause it to become grainy or curdle as cheese as added. Set aside about 1 1/2 cups of cheese (a mix of all three is fine). Cup by cup, stir in the remaining shredded cheese into your sauce to melt. After all of the cheese has been melted smoothly into the sauce, add the cooked pasta and stir to coat well. And top the sausage with half of the reserved shredded cheese. Now, repeat with another 1/3 of pasta, the remaining sausage & shrimp mix, and the final 1/3 of pasta. Press it down into your casserole dish if you're coming close to the top. Finally, top with the remaining 1/2 of the shredded cheese blend and lightly season with a few pinches of Cajun spice. Transfer to the preheated oven and bake at 350°F until cheese is bubbly, about 30 min. Prior to baking, I dotted my mac & cheese with a few chopped pieces of Andouille sausage just for presentation sake - if you'd like to do the same just save a few slices from the earlier step. 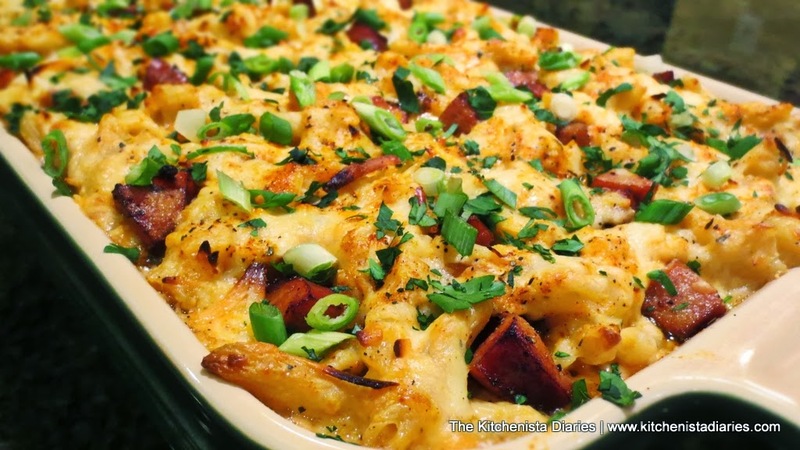 Just before serving, garnish the mac & cheese with sliced scallions and chopped parsley! I love adding a touch of color and freshness to any baked dish, it really brightens it all up at the end. We couldn't wait to dig in! Andouille sausage, fresh shrimp, and the familiar flavors of Cajun cooking were fabulous additions to this creamy mac & cheese. Mmmm...this Cajun Mac & Cheese is creamy, smoky, and just enough of a kick to liven up your taste buds! Happy Mardi Gras! I hope you enjoy this one as much as we did! To learn more about Johnsonville Sausage, you can visit them on Facebook or Twitter. 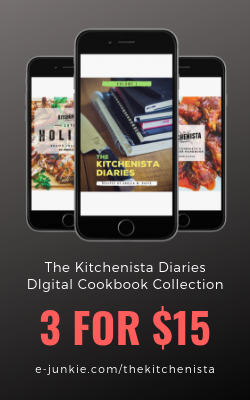 Their website also features other recipes your family may love!